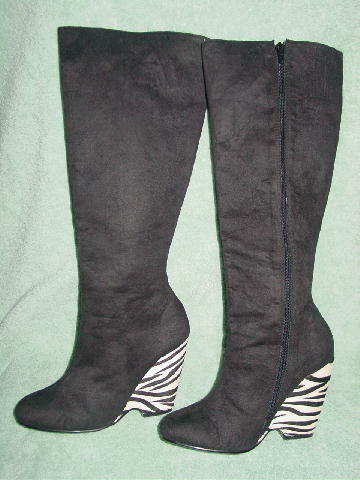 These black (feels like brushed cotton) boots have faux pony hair zebra print black and white wedge heels. 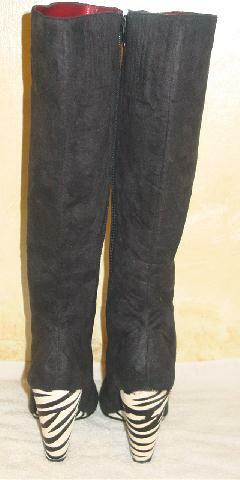 They have 17" long inner zippers and red faux leather linings. The tag says size 7 1/2, but they fit more like a 7 - 7 1/2. 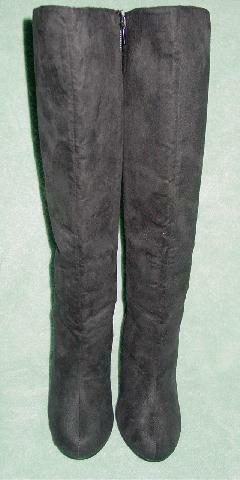 There are rounded toes and a small stretchable panel at the top near the zipper. They're from a stylist's inventory, and were worn in a movie. top of boot to bottom of heel 18 1/4"